Bitcoin has opened numerous opportunities that granted the users with convenience and security, especially in the field of commerce. As such, a number of online markets and merchants have integrated the technology of Bitcoin to provide global customers with seamless transactions. However, the majority of online marketplaces are yet to accept Bitcoin as its mode of payment. That being said, bitcoiners are still limited with spending opportunities that come with this virtual currency. Considering Bitcoin’s unnoticed potential in the mainstream industry, this particular scenario paved the way for the development of San Francisco-based company Purse.io, a marketplace created to connect Bitcoin users around the globe through a decentralized transaction landscape. The company has structured its services to complement the blockchain technology’s advantages, thereby providing clients with an effective conduit for Bitcoin-initiated payments and transactions. 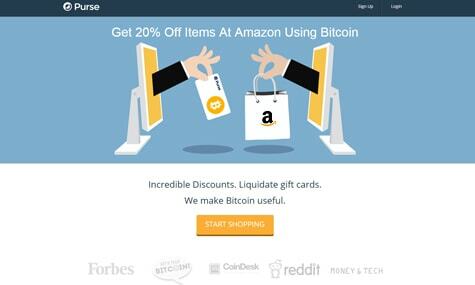 To make this possible, Purse.io markets its services to Bitcoin users wanting to do purchases on Amazon, one of the leading online marketplaces in the mainstream landscape. Although the retail giant is among those that are yet to accept virtual currencies, its structure gave the Bitcoin company a fundamental idea on how their services would work. Hence the Bitcoin marketplace was made to flesh. By combining Amazon’s structure with Purse.io’s main goal, the company is able to come up with a platform similar to that of Amazon’s, only that it is more efficient and geared toward Bitcoin users. As such, the transaction process in this online marketplace is similar to the peer-to-peer (P2P) system, where the company acts as the arbiter that takes care of product and Bitcoin transfers, as well as an escrow for the transactions. The process starts when the Bitcoin spender creates a wish list on Amazon then imports it to the Purse.io website. The accumulated amount of the items included in the wish list will then be converted to BTC. If the spender’s account balance is sufficiently funded, the wish list will now be placed on queue in the marketplace’s order book for Bitcoin buyers to view. Bitcoin buyers share with the Bitcoin marketplace the amount of BTC they need. The website then shows search results from the order book that display similar values to the buyers’ desired BTC amount. Buyers just have to choose among the results and purchase the products of their chosen wish list. They should also select the spender’s hidden ship-to address to complete the process. After the purchase, Amazon ships the items directly to the spender. From there, the buyer distributes the tracking number to both the spender and Purse.io. Once the item is received, the spender confirms to the Bitcoin exchange that the package has arrived. Once the confirmation is received, bitcoins that are used to purchase the item is now released from escrow. The buyer now receives the bitcoins and the process of Bitcoin exchange is accomplished. Although the process may seem too rigid even for long-time Bitcoin users, the whole point of this setup is to give laypeople a more conceivable idea on how Bitcoin works and how it is advantageous for online transactions. After all, Amazon has been on the mainstream market for quite a long time. Thus, using the same platform and process eliminates the cryptocurrency’s intimidating demeanor toward the general public. Considering these essential factors, Purse.io’s innovative service amplifies the thriving adoption of Bitcoin in the mainstream niche. People are now having a more vivid imagery on how Bitcoin ecosystem operates and conducts businesses. Therefore, they are now gradually grasping the idea of a decentralized market place. 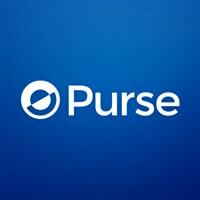 That being said, Purse.io now plays a vital role in the progress of Bitcoin adoption in the mainstream. If given more exposure, it is certain that the whole e-commerce market will soon integrate Bitcoin’s technology, putting the cryptocurrency at the helm of maximum acknowledgement.